Storm damage isn’t always as obvious as missing shingles or holes in your roof. This is why, even if your roof seems to be okay after a storm, you should nevertheless perform an inspection. Easton Roofing shares an overview of how you should inspect your roofing for storm damage. Once the weather has cleared, use a pair of binoculars to inspect your roof for storm damage, safely from the ground. Start with eaves and roof edges as these areas bear the brunt of updrafts. Note any damage to the gutters as well. Next, inspect the parts of the roof where flashing is installed: valleys and dormers, and where the roofing plane meets a wall. Vent pipes should have rubber boots fully intact. Finally, inspect the main roofing area for missing, damaged or loose shingles. If you have a metal roof, carefully inspect all fasteners at the seams, and note dents that may indicate impact damage. For the second part of the roofing inspection, you will need to climb into your attic. Using a flashlight, start your inspection from the ridge area, and keep an eye out for water stains, clumped insulation and signs of warping. Continue your inspection downwards at each plane. You’re not expected to perform repairs, but you should assess the extent of the storm damage. Turn off the attic light, and see if light is coming through the roofing plane. If you find several of these signs, you will need the aid of capable roofing contractors. If the damage is so extensive that it requires immediate repairs, you should make two phone calls: one to your insurance company and another to us, your storm damage specialist. Insurance adjusters require documentation of the damage. This part of the inspection conducted by a roofing contractor that specializes in storm damage repair. Your contractor will also be required to provide an accurate quotation on the repair costs, which will be the basis for the amount of the insurance payout, minus deductibles. Working with a storm damage expert like us means we will do all the heavy lifting with regards to your claim. We will work with you and your insurance adjuster during every step of the process to make sure you get your roof repairs started as soon as possible. 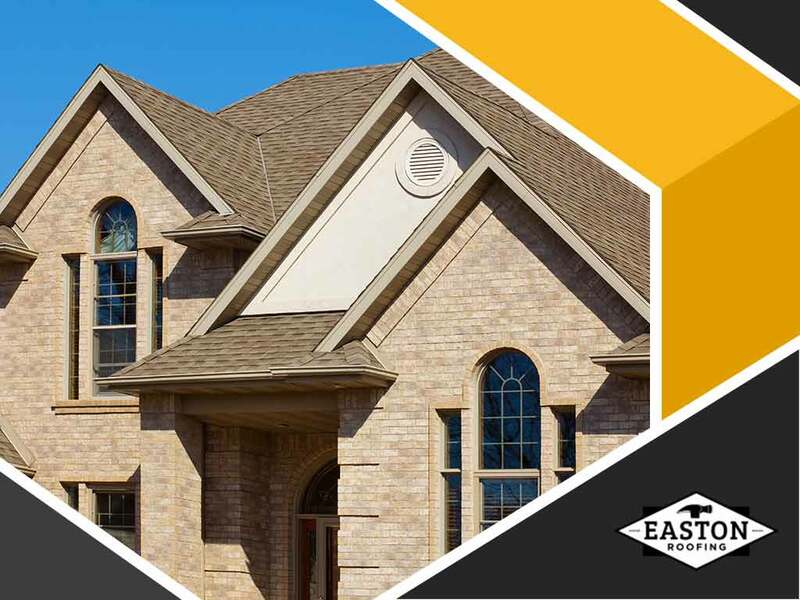 Easton Roofing is your leading provider of roof repair, maintenance and installation services. Give us a call at (913) 735-8534 (Kansas City, KS), (816) 545-9778 (Kansas City, MO) and (785) 246-9449 (Lawrence, KS). You can also fill out our contact form.